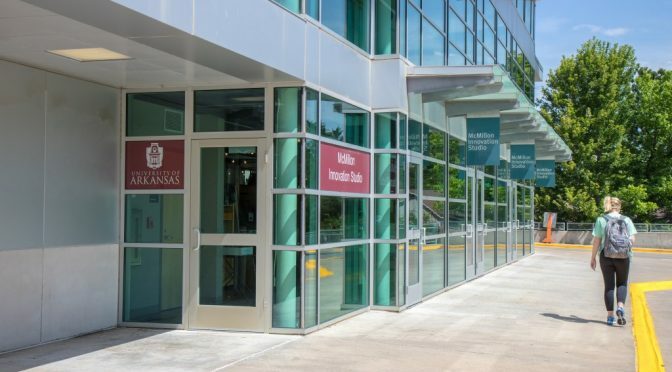 Chartwells Higher Education Dining Services at the University of Arkansas has made a commitment to support a health and well-being program at the McMillon Innovation Studio at the Sam M. Walton College of Business. 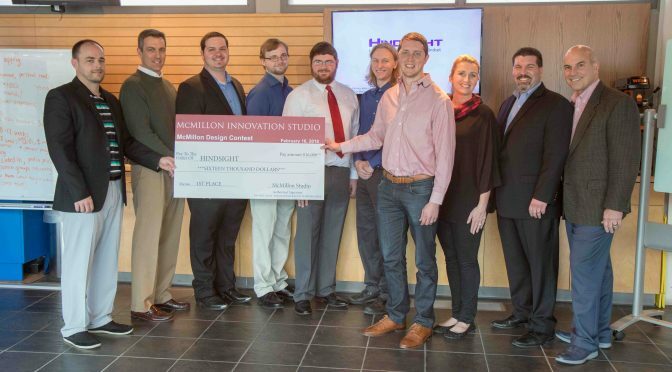 The McMillon Studio’s mission is to catalyze innovation and entrepreneurship at the University of Arkansas. The health and well-being program at the McMillon Innovation Studio will research various challenges with a specific focus on food insecurity and access to healthy foods. The projects are student-led and receive advice from advisory boards and local experts. 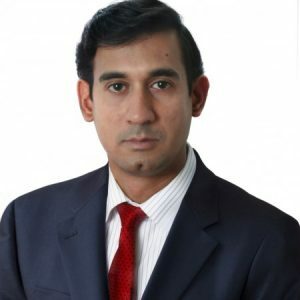 The McMillon Innovation Studio also has design teams in the areas of supply chain and seamless commerce. Chartwells, a division of Compass Group North America, provides dining services for 280 colleges and universities nationwide. For more information about Chartwells, visit ChartwellsHigherEd.com or DineOnCampus.com. 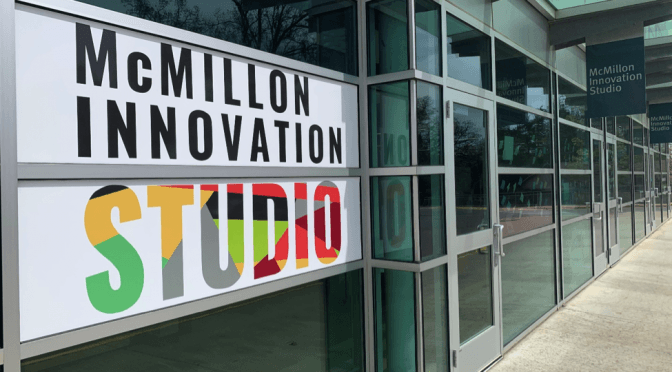 The McMillon Innovation Studio is a physical hub of innovation supporting creativity, entrepreneurship, and collaboration between all disciplines on the University of Arkansas campus. We exist to shape the future of commerce by developing and enabling students to be catalysts of innovation. Learn more about McMillon Studio at mcmillonstudio.uark.edu. Freshman year is life changing. Everything – from laundry and dorm rooms to classes and free time – is new and different. Teens are expected to navigate through classes and campus, manage their time and thrive on their own. 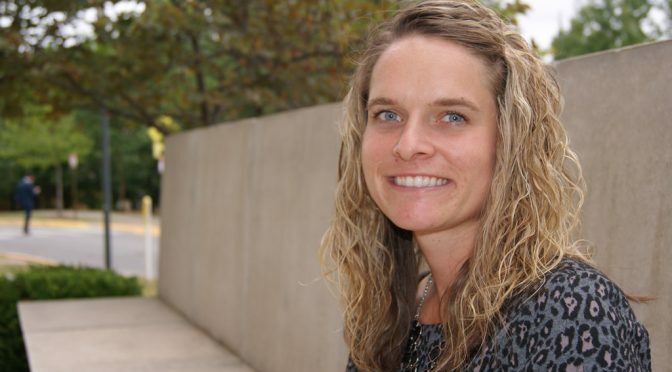 To help students’ transition to this new lifestyle, Carole Shook, an instructor for the Department of Supply Chain Management at the Sam M. Walton College of Business, created a team project to encourage freshmen to get to know each other, discover resources on campus and strengthen personal development skills. 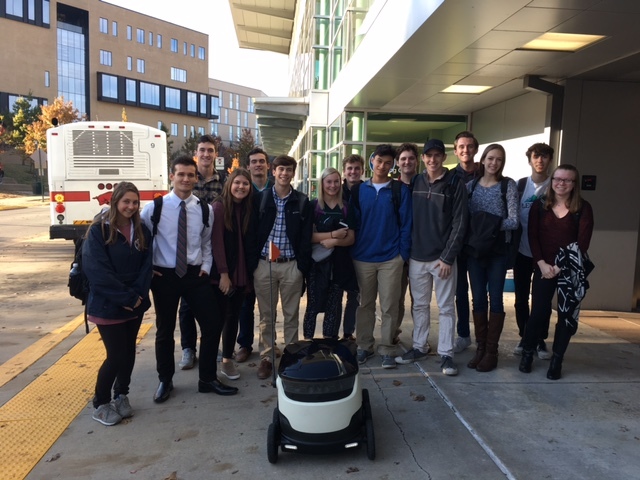 Freshman Business Connections students visit the McMillon Innovation Studio. Within her fall 2017 Freshman Business Connections class, Shook assigned a team project to create a video overview of the McMillon Innovation Studio on campus and then present their findings in class. 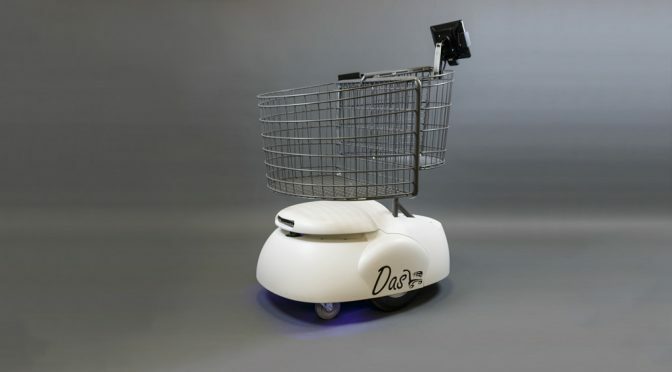 The studio, a gift from Walmart chief executive officer and Walton graduate Doug McMillon and his wife Shelley, tests new technologies and is designed to impact the future of retail. The project, designed by McMillon Innovation Studio director Clint Johnson and Shook, required teamwork, time management, exploration of Walton College resources and networking with classmates. Freshman Business Connections, often referred to as FBC, is taught to first-year business students to acclimate them to campus, understand what resources are available to them, introduce them to other freshman and help them be successful at the Walton College. It introduces them to David W. Mullins Library for research, academic integrity and ethics, the Business Communications Lab for writing assistance, the Credit Counseling of Arkansas for personal finance management, Walton Career Services for job readiness and the degree opportunities at Walton. The class also helps students’ transition from high school to college by nurturing personal development skills such as time management, stress management, financial planning, health and wellness, diversity and team building. After selecting teams, the freshmen interviewed staff and students at the studio and created outlines for videos and presentations. Each student was responsible for a portion of the project and collaborated with the team on deliverables. Team members Ryan Hardwick, Alexis Humm, Cydney Feinstone, Elijah Kaplan and interviewer Noah Tidmore recorded video, captured still photography, created graphics and wrote interview questions. In their video below, freshman Noah Tidmore interviews Kayla Bruskas, a senior accounting student and student manager for the McMillon Innovation Studio. Team members for this video include Ryan Hardwick, Alexis Humm, Cydney Feinstone, Elijah Kaplan and interviewer Noah Tidmore. Throughout the project, students learned about the opportunities at the McMillon Studio, got to know their team members and explored campus. 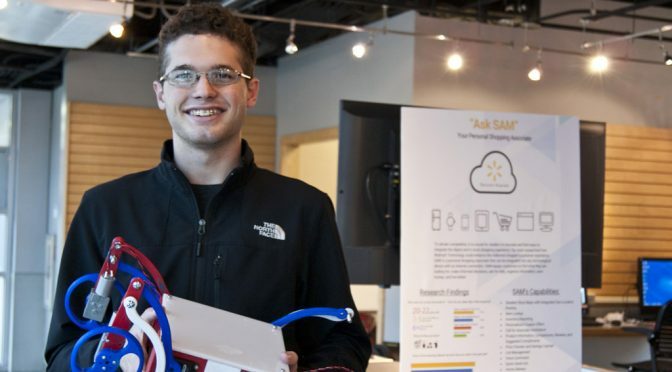 Simply put, the project helped freshmen get connected to their new life on campus.